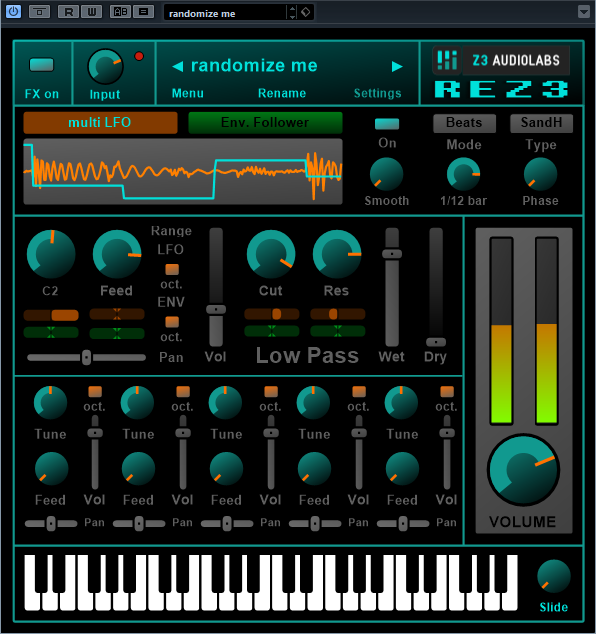 REZ3 Free, Other Effect Plug-in from Z3 Audiolabs. This weekend, you can make your tracks resonate with the free VST plug-in created by Z3 Audiolabs for Windows. REZ3 is a resonator effect plug-in featuring 6 independent voices, the first being master while the 5 others can be detuned based on the master note. Each voice features a pan slider and a range button for detune between a semitone and a full octave. REZ3 also includes an LFO with 6 waveforms and an envelope follower to modulate the tone, feedback and the built-in filter cutoff and resonance. You’ll also find on the GUI a virtual keyboard but you can also control the plug-in externally via your DAW or MIDI controller, MIDI Learn is supported for all parameters. Last, 32 presets are included. 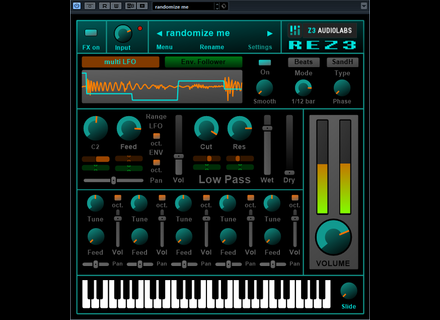 REZ3 is a 32-bit VST plug-in (64-bit supported via JBridge), you can download it for free from www.z3-audiolabs.com. Addictive Keys updated to v1.1.0 XLN Audio has released a free update for its Addictive Keys electric and acoustic piano collection. Hans Zimmer signs a 3rd Spitfire library The percussive collection produced by Hans Zimmer for Spitfire now includes a third volume which is dedicated to solo percussions. Sound Dust updates its Dulcitone1900 Sound Dust is currently working on new version of its virtual instruments and releases today an update for its Dulcitone1900 for Kontakt.